I'm back with the third card of the day, completing my Viva La Verve challenge cards....until the fourth and final sketch is released this coming week. Each month, there are 4 sketches, one per week. If you complete all four, you are eligible to win a $100 gift certificate to the Verve store. I really wanted to give it a try! If you haven't seen my other posts today for this VLV challenge, you can see them HERE and HERE. 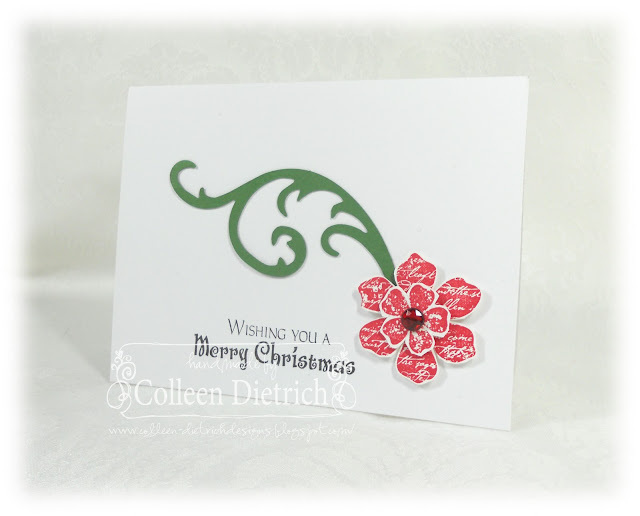 I stamped my background with a floral spray from Elements of Style (SU). The smaller panel with text was stamped with Old French Script (Hero Arts). 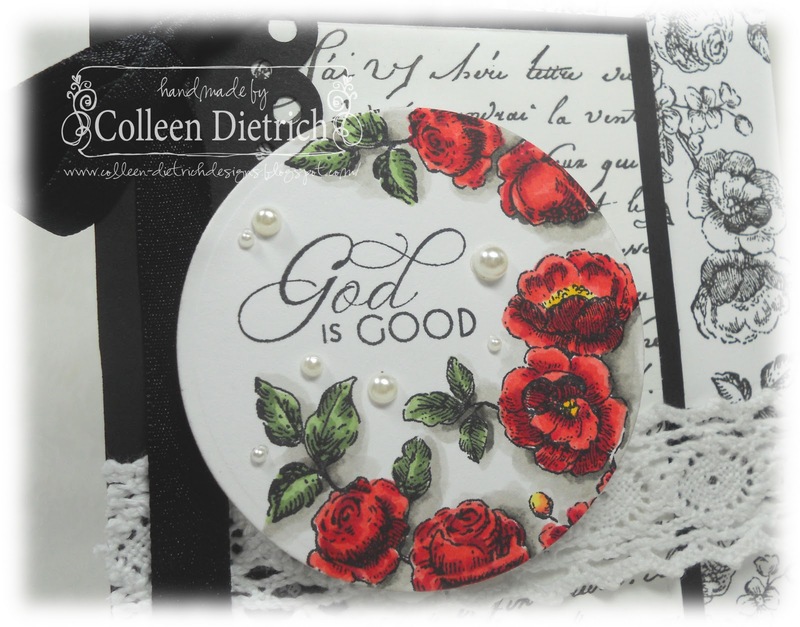 I used the same flowers as the background to adorn the circle die cut, and used a Verve sentiment from Joy For The Journey. The roses were colored with Copic markers. Thanks for visiting me today, and for letting me know what you think of my creations. I always appreciate it! I'm back with Sketch #2 of the Viva La Verve challenge over at Splitcoast. As I had mentioned in my earlier post today, I am participating in this challenge for the first time. You have to upload a creation for each of the four sketches in a given month to be considered for a $100 gift certificate to the Verve store. Yummy! My entry for Sketch #1 can be seen HERE. I adore this sketch. I guess it's the traditionalist in me, liking things to be balanced. So.....I made two cards. 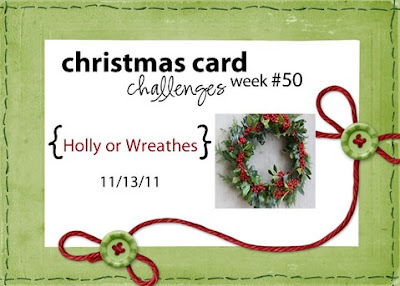 I am also entering these at Just Us Girls, where the challenge is to use Red, Green, and White. 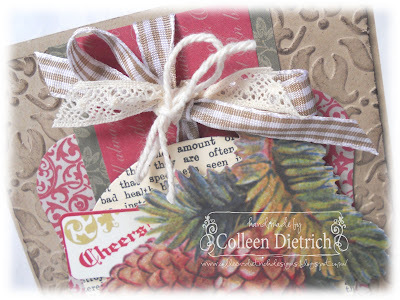 You know how I buy those $1 Scrap Bags from my Stampin' Up! demo? 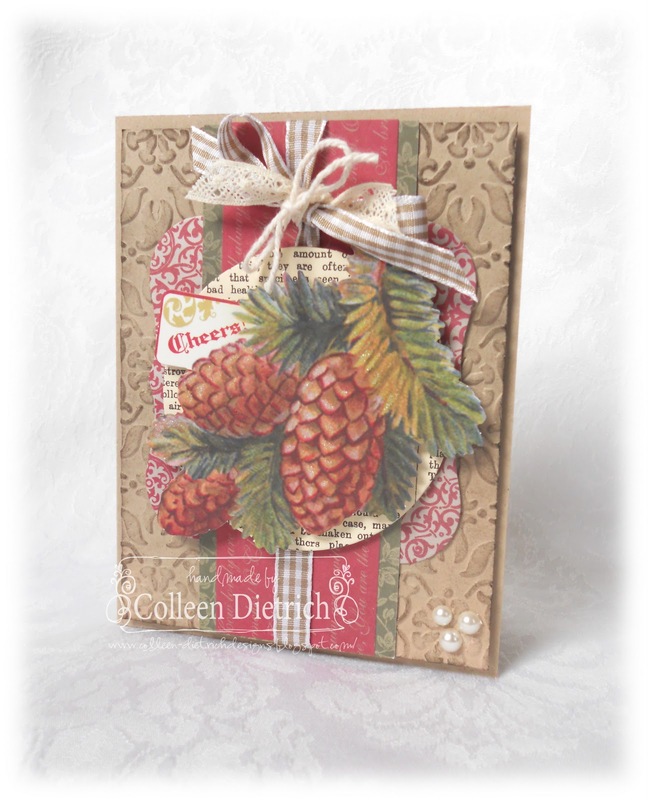 All of the papers you see here, minus the pine cone die cut (from K & Co.) and green paper, came from those bags. That kraft panel was already embossed and distressed, too. It sure made this card come together quickly. To fit the rustic feel of this card, I used three different ribbons to make my bow. There's some bona fide bakery twine on there, too. 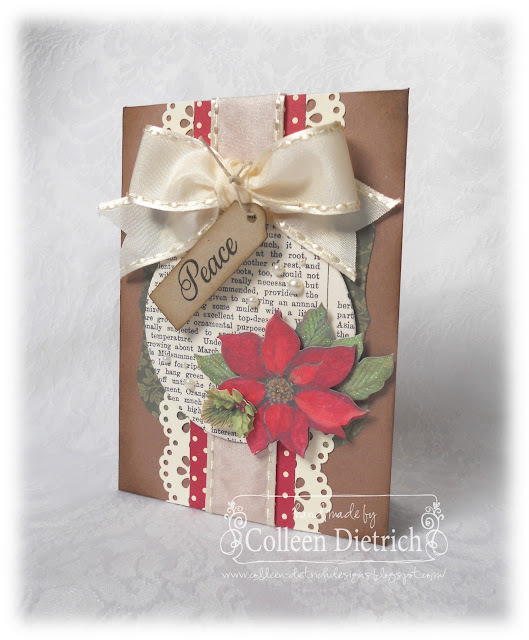 I like this one better, because I don't feel comfortable doing rustic cards. 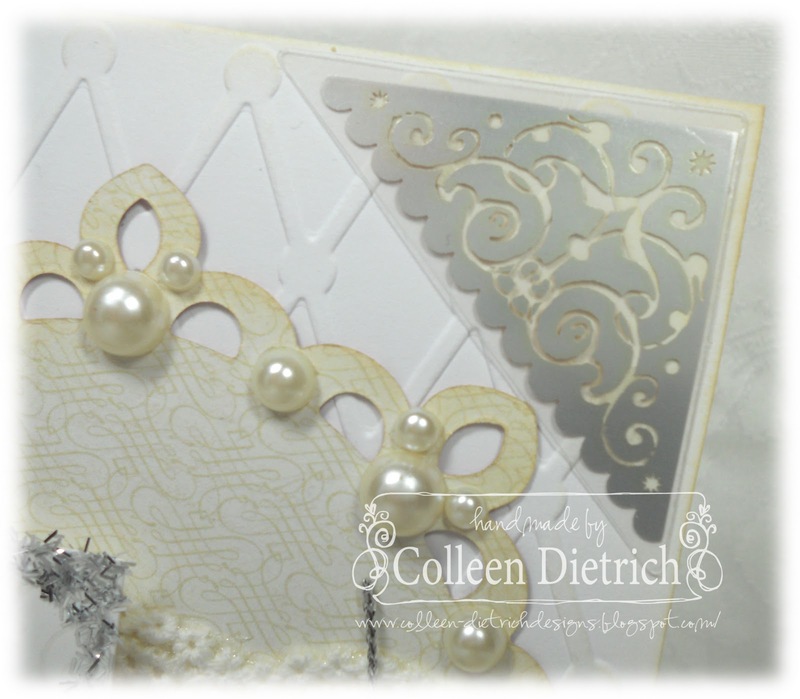 Many of the same elements are used here, but I added Doily Lace Trim punching in ivory to coordinate with a more feminine ivory bow. I also added a Verve sentiment from Bright Spirits. The poinsettia and holly leaves die cuts are from K & Co. I need to do a bit of tweaking on my card for Sketch #3, then I'll be back here to post it. Oh, a quick note -- THIS card earned me a Top Spool from Ribbon Carousel. Thanks, gals! Thanks for joining me! I am always grateful for your visit. 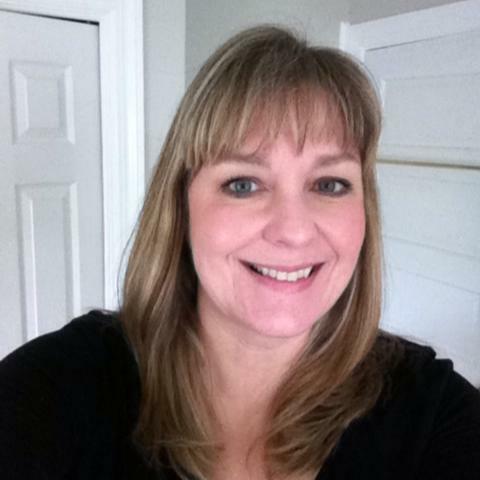 Tomorrow marks four weeks since my hysterectomy, and I'm grateful to have come such a long way in my recuperation. This past week, with some help from my girls, I cleaned the house top to bottom, did some laundry, and put away the Halloween decorations (they were driving me crazy this late into the year). After looking at what I did, in print, it really WAS too much. And now, I am paying for it. They say that when you have any kind of major surgery to "take it easy" and "don't do too much". Well, when I felt so good, I wanted to get my normal routine back in place. And I didn't realize I was doing too much until my body said, "WHOA!" I've spent a good many hours lying down this weekend, to rest up. I did manage to fit in some crafting for a challenge I've never done before. It's Viva La Verve, over at Splitcoast. They offer a sketch per week in a given month, and you have to do all four sketches to be entered for a $100 gift certificate at the Verve store. That sounds reaaaallly good to me! I'm entering late in the game, so bear with me while I throw several individual VLV posts your way. 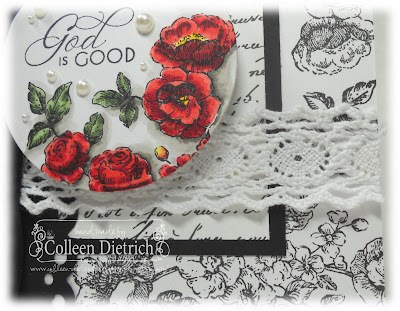 I've hoarded this Stampin' Up! patterned paper for a couple of years, but finally cut into it for this challenge. You know how you pull out your best china, silver and crystal for a special guest? That's how I feel about the Verve challenges. They can be intimidating, for sure, so I am using things that haven't seen daylight in a while. More hoarded stuff: Little Felt Flurries by SU. They came in a pack with red, Baja Blue, and white. Well, the white didn't exactly look clean and white to me, rather a bit grayish and dirty. So I took the snowflakes down to a workbench in the cellar and wanted to use spray adhesive and glitter to dress them up. Guess what? The can of spray adhesive was empty! So I used Clear Acrylic Matte Sealer instead, then sprinkled the glitter on top. Worked perfectly. When the snowflakes were dry, I glued on pearls. This sentiment comes from Bright Spirits, the set I won from Verve last week. And the blue ribbon comes from a Baby Gap shopping bag, which had ribbon handles. I'm off to write my second Viva La Verve post now. See you soon! Although I love the outcome of this card, it was a BEAR to produce! LOL Took me a day and a half to iron out the details. 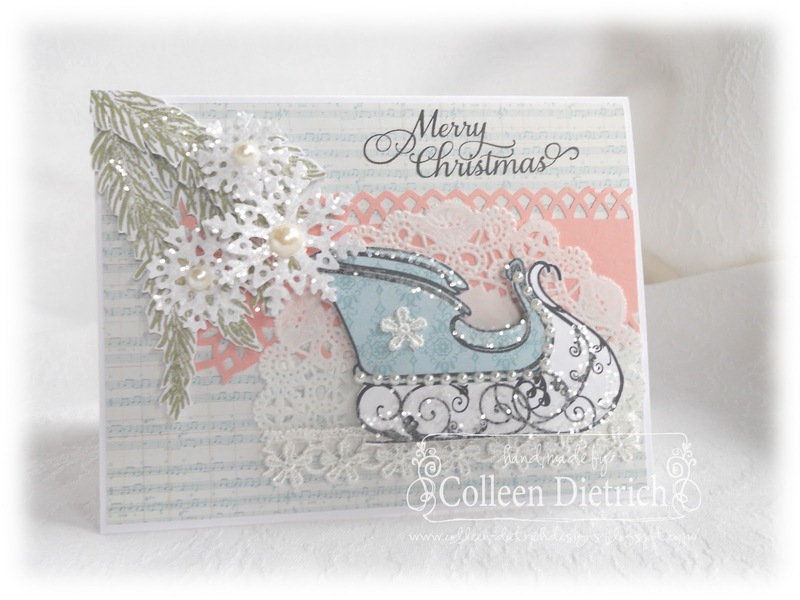 The music note background paper is Prima Madeline, the sleigh stamp is from Sleigh Ride and pine boughs from All That Glitters (Flourishes), and the sentiment is my NEW Verve set, Bright Spirits. 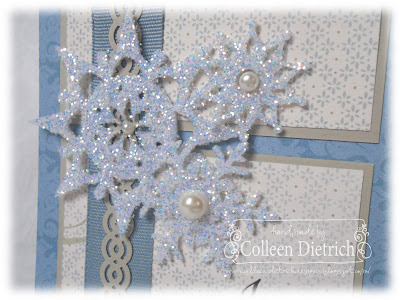 These pretty snowflakes came in a $1.00 Scrap Bag from my Stampin' Up! demo. I glitzed them up with SU clear glitter. 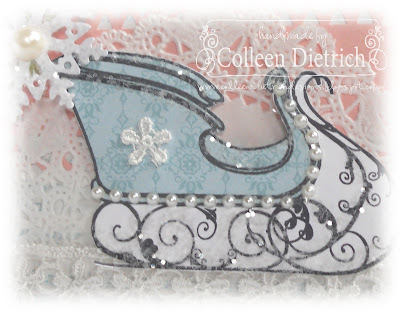 The sleigh is paper-pieced with another find from that Scrap Bag, Baja Breeze Designer Paper. 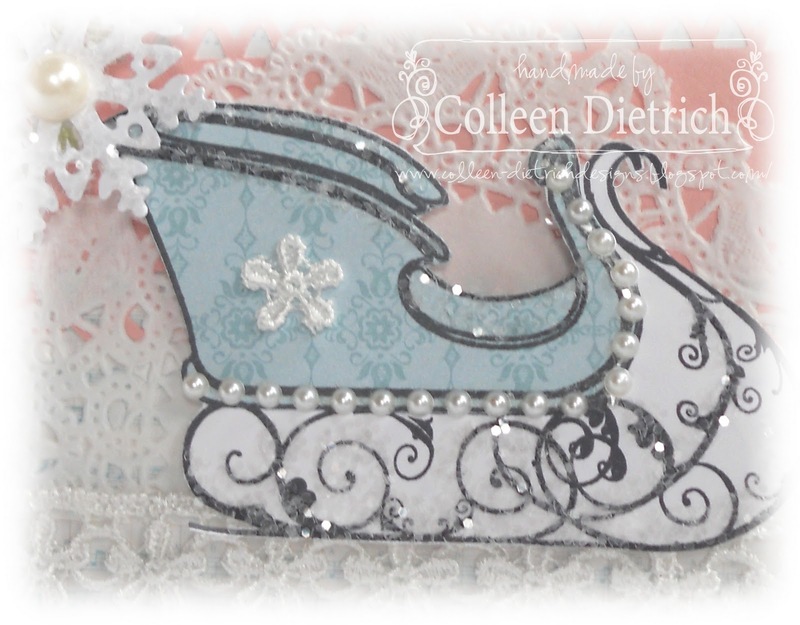 I added a dusting of glitter and a strip of pearls to the runners and a piece of lace to the side of the carriage. I hope you enjoyed my fancy creation today. 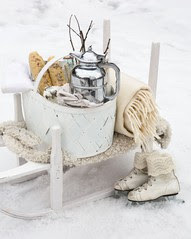 Can you believe I've done a cute sock and a fancy sleigh in one day? They're both so different! I never know where my crafting hands will take me next. Maroon, copper and turmeric are the colors for this week's Play Date Cafe challenge. Pretty exotic, huh? Well, my creation is not at all exotic, but instead features an item we all use at one time or another: a sock! 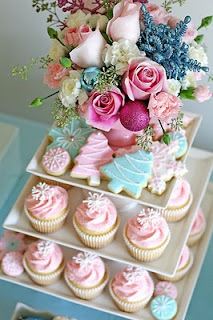 Isn't it cute?? 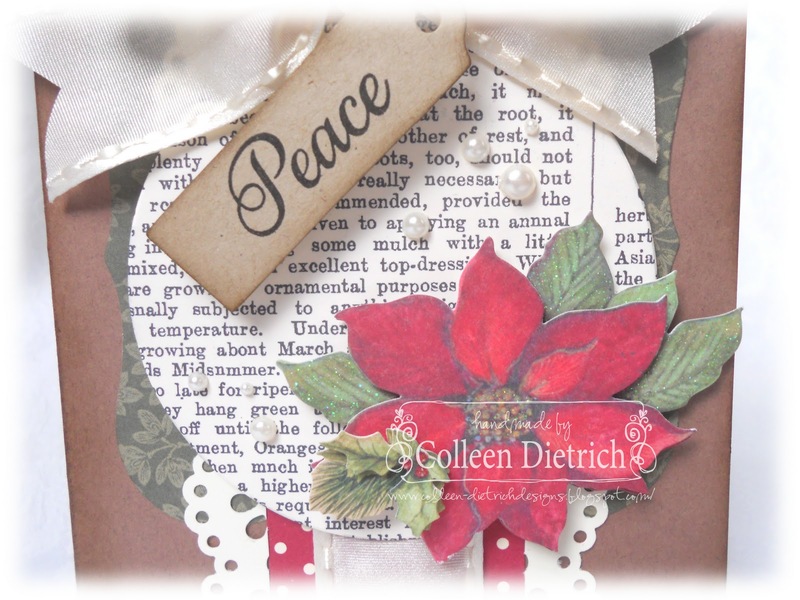 My mind went blank at first when I saw that I had to combine these colors with a stamp set I have from our sponsor, Lawn Fawn, a set I love, by the way. It's called My Silly Valentine. I looked at the pair o' socks and thought, "Aha! A gym sock, with glittery bands of our challenge colors!" I sketched a sock free-hand, based on the shape of the socks in the stamp set. I set the template over a 4.25" x 5.5" card and began trimming away the excess. Easy peasy! 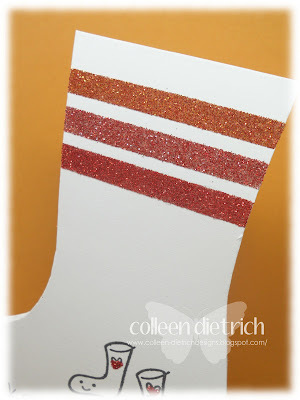 I used Martha Stewart glitter in Fire Opal, Carnelian and Cinnabar and some strips of Scor-Tape double-sided adhesive to create the lines. 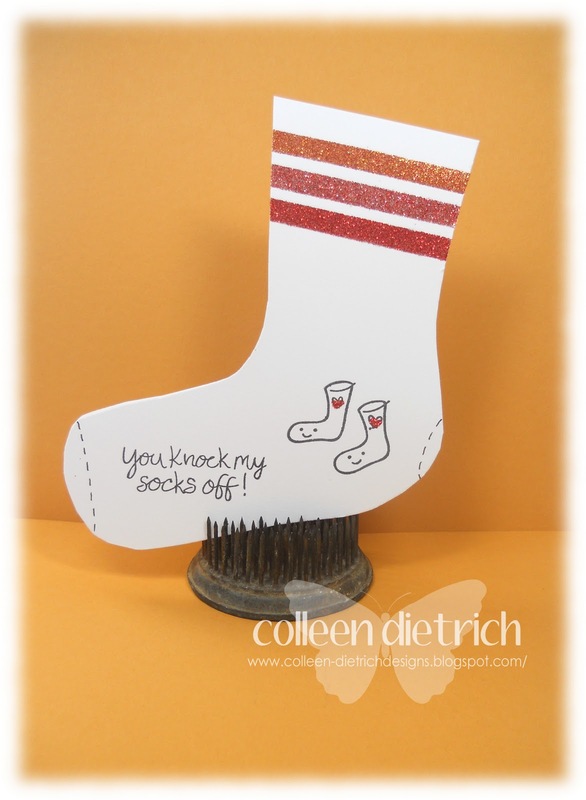 My kids adored this little sock! Feeling inspired by these colors? Link up your creation in our gallery at The Cafe HERE. 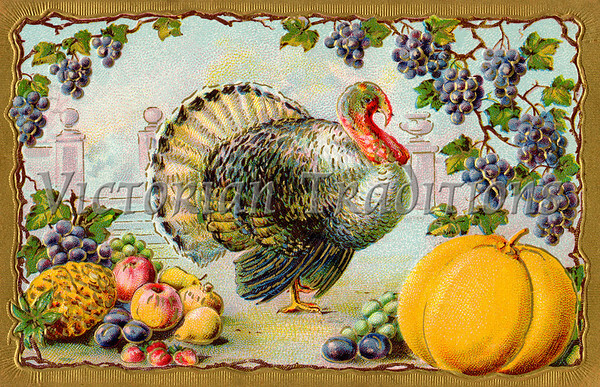 Because of the upcoming Thanksgiving holiday (here in the US), this challenge will last for TWO WEEKS! Go to the Play Date Cafe for more details. Hello! 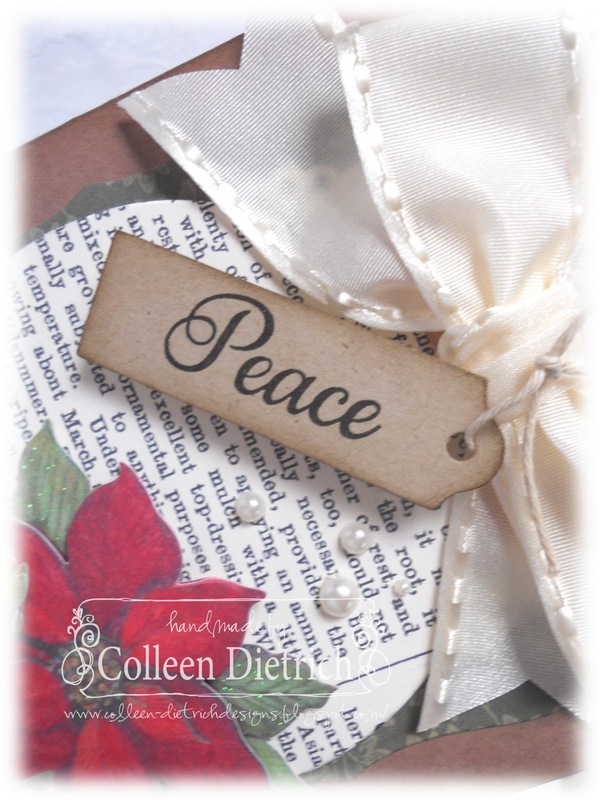 I wanted to share another quick and easy Christmas card with you. Working with the colors from the inspiration pic, I made this with spare parts from my scrap box. 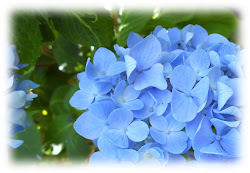 The flower was already stamped and assembled for another project a few years back. It's Stampin' Up! 's Vintage Vogue. 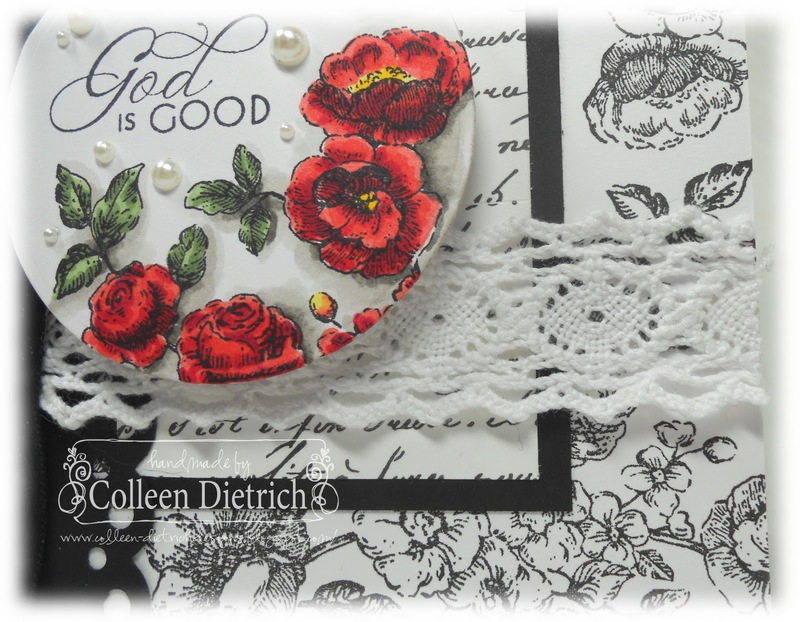 The die cut is Elegant Flourishes by Sizzix/Tim Holtz. This went together in a jiffy! 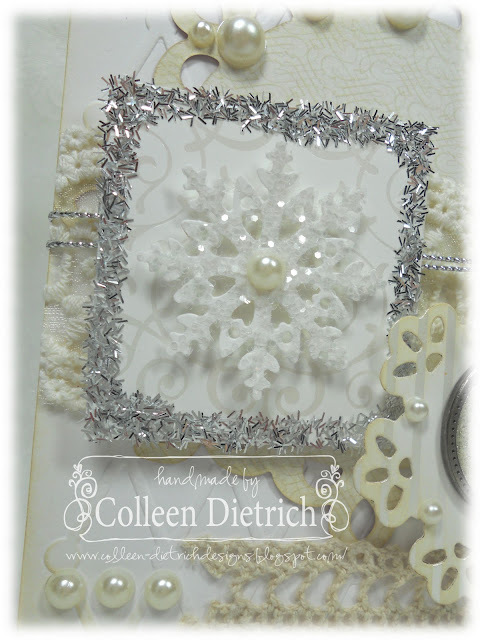 I've linked this card up to the monthly Christmas Card Challenge on Splitcoast, and also the Ways To Use It challenge there, which is SPACE (filling in the space around your card with something 3D). Every year, my girls love to make Candy Boxes for their friends as little Christmas gifts. 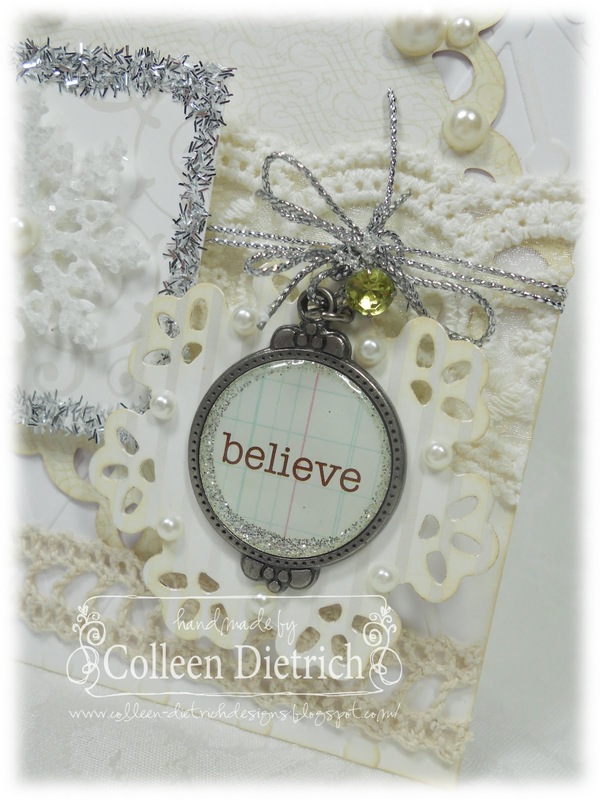 My Stampin' Up demo, Gail Murray, taught me how to do these several years ago. I created a tutorial for you, in case you want to make them too. Warning: lots of pictures in this post! Circle punches: 1 1/4", 1 3/8", 1 3/4"
For this tutorial, I have used plain computer paper. I have also drawn lines for demonstration purposes only. Blue lines are for scoring, red dashed lines are for cutting. Cut a piece of cardstock or patterned paper into a 6 7/8" square. Score each side 1 7/8" from edges. Trim off each corner, shown by the red dashes. I use my paper trimmer to cut off the corners by lining up edges of scored lines in the trimmer's 'gutter' or channel. This is what your box bottom should look like. Stamp sentiment or image inside square. Pinch corners of box bottom as shown above and below. Choose to leave corners as they are, or secure with adhesive (even Scotch tape). Cut a piece of patterned paper into a 5 1/8" square. Score each side 15/16" from edges. cuts all run in the same direction. Flip paper over to the side you want as the inside of the lid. Place double-sided adhesive on corners marked with an "x". Assemble corners as shown and place lid on box bottom. 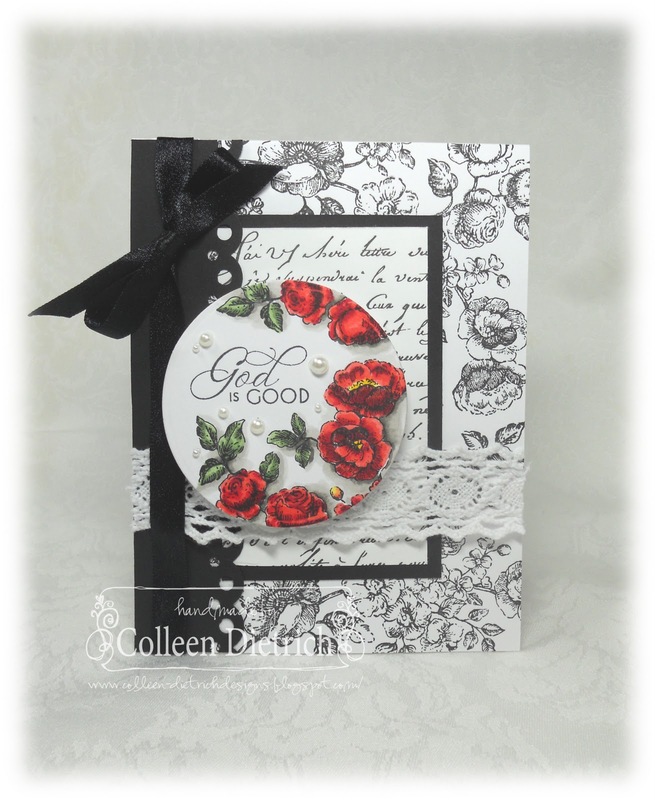 Stamp image, then punch circles in coordinating cardstocks; assemble with double-sided adhesive. Cut 11" x 1" strip of patterned paper. Adhere label to center of paper strip. centering label. Do not secure. Flip box and belly band over. Place adhesive on one end of band, as shown. Secure ends to each other. The belly band slips off box easily, and helps hold lid and box together in a pretty way. Our projects, mid-way through assembly. We need quite a few more! 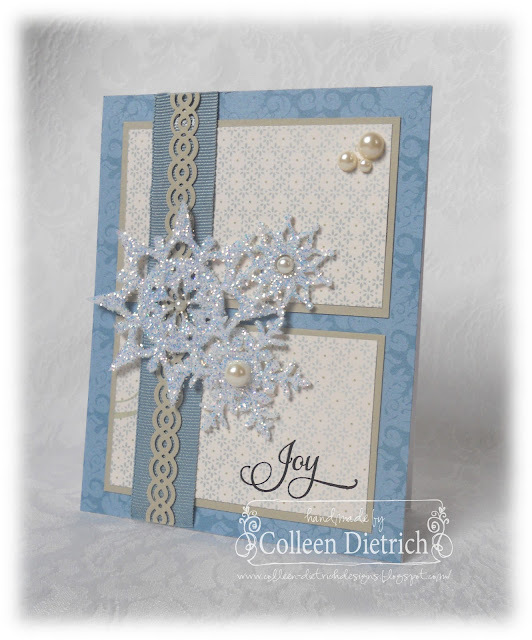 I am entering this project at Tuesday Throwdown, where the challenge is to use our favorite color combo. I LOVE red and green together for Christmas, especially this olive shade of green.